This cozy suite has a romantic ambiance. The sleeping area can be separated by curtains from the kitchenette. 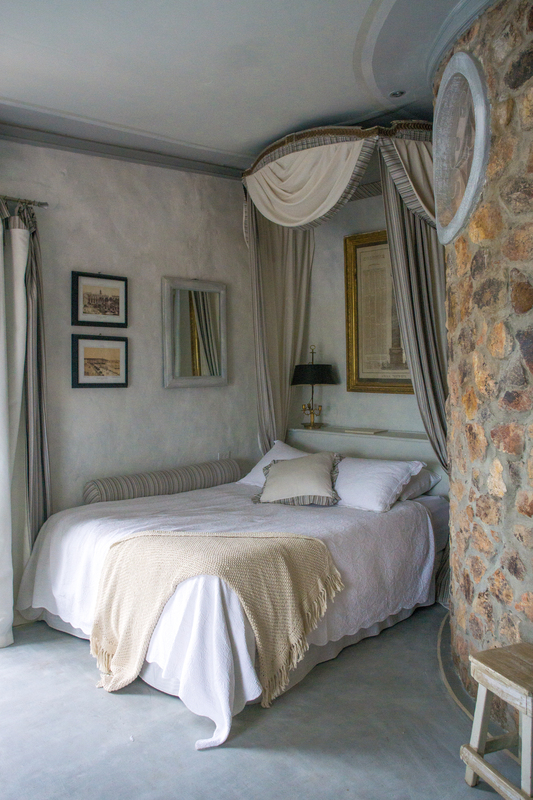 Enjoy your morning coffee or a glass of wine either in the private stonewalled patio, the plunge pool or in the half round balconys off the bedrooms. Connecting doors to the Superior Sea View Suite can turn the otherwise separated 2 rooms into a family/group suite. This good sized villa is designed with an eye for South American Folklore and Latin craftsmanship. Lush vine coverings on the outside, the sound of a running fountain and maintained gardens transfer you to an oasis-like private getaway. The house is perfect for families or two couples. 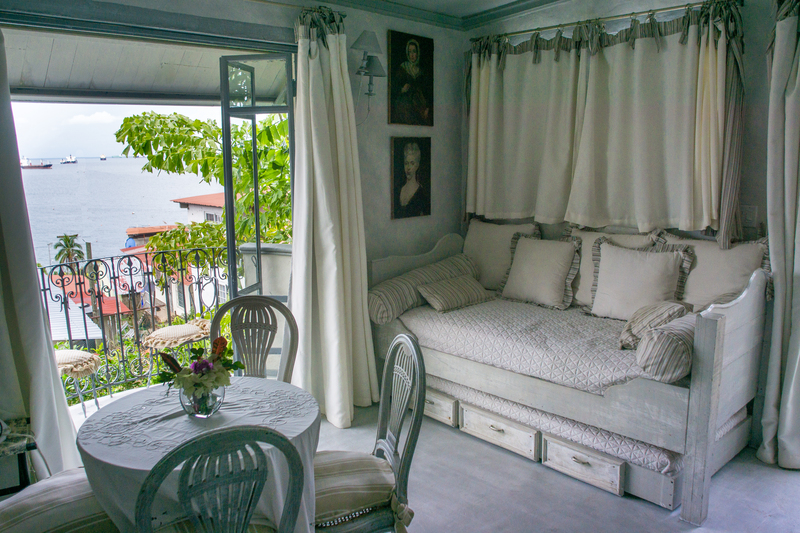 This suite, located on the second level, is comfortable in size and tastefully decorated, implying a classy cottage feel placed in the country side. Wide glass double doors open up to a shared terrace with an outside seating area providing sweeping vistas towards Panama City. 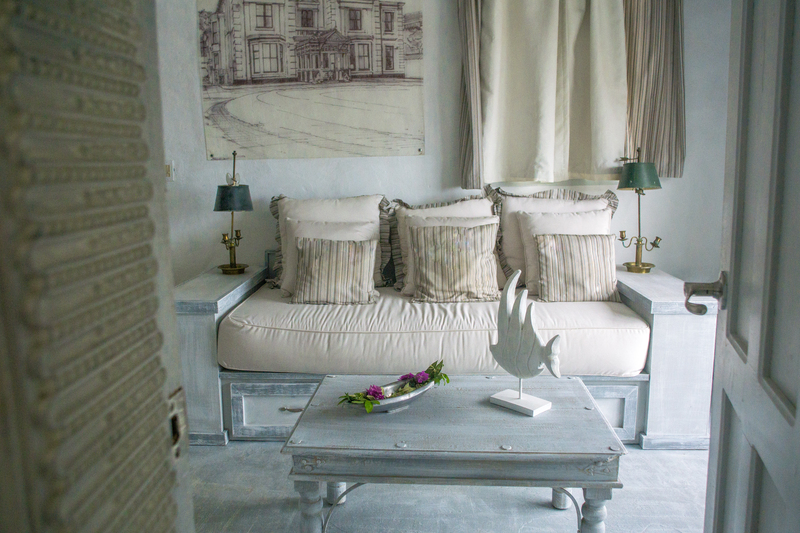 A mirror image of the neighboring Sea View Suite 2, the interior palette is blue and white washed walls and furniture. From the bedroom you step out onto the shared terrace, where you can enjoy a maritime scenery played out in front of you. Verdant walkway to the room. Terrace in front of the room. Lovely blue and white decor. 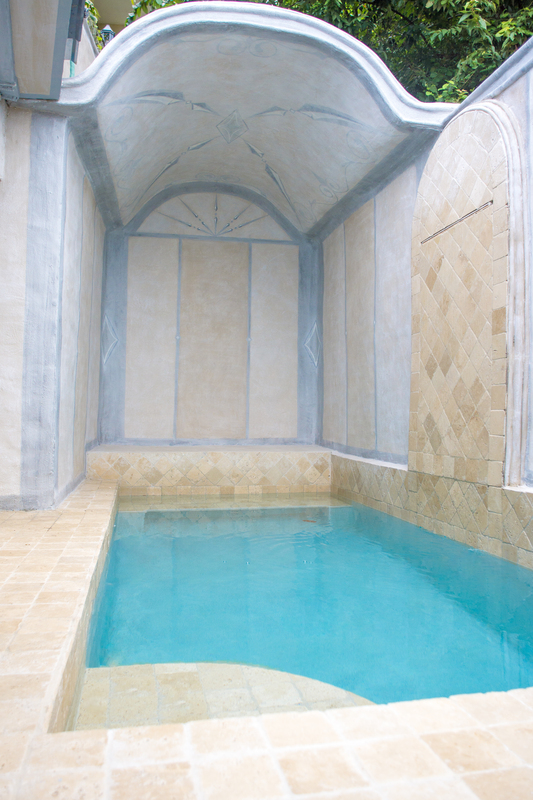 Our Pool Suite, located on the third level, is the supreme accommodation within our Villa. Sliding doors separate the bedroom from the living and dining room. Walls of glass doors along the outer apartment perimeter allow the outside to be part of the living room and give easy access to an oversized terrace. Huge banquets frame the private pool for the ultimate enjoyment.